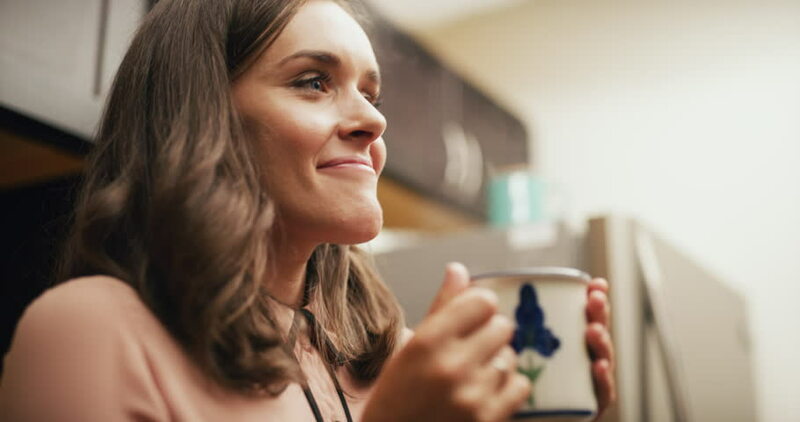 Proud office worker really enjoys drinking her coffee in office kitchen. Medium to closeup shot on 4K RED camera on a gimbal. 4k00:20Portrait of a cheerful young woman typing a text message on mobile phone while sitting in restaurant and drinking orange juice. hd00:22Young adult woman listening music on smartphone through earphones. Relaxed mood. Indoors. Natural lighting.